Multiway Valve | Daf Repair Kit, Fifth Wheel | Georg Fischer Air Spring | Bergische Achsen Brake Disc | Ror-Meritor Lock Washer, Axle | R.V.I. Ring Kit, Piston | Daf Clutch Servo | Daf Housing, Flywheel | Volvo Cab Corner | Mercedes Brake Pressure Regulator | Man Piston | Mercedes Air Spring | Mercedes Repair Kit, Spring | Iveco Drag Link | Mercedes Bracket, Axle | Bergische Achsen Safety Valve | R.V.I. Arm, Mirror | Man Rubber Bushing, Stabilizer Bar | Mercedes Bearing, Cab | Scania Repair Kit, Brake Shoe | Ror-Meritor Seal Ring, Bogie Suspension | Ror-Meritor Torque Rod | Scania Bearing, Stabilizer Bar | Daf Air Spring | Ror-Meritor Bearing, Flywheel | Scania Repair Kit, Brake Cam Shaft | Trailor Repair Kit, Axle Rod | Mercedes Cable, Gear Shift | Volvo Flange, Wheel Hub | Man Mounting, Engine | Volvo Hose, Radiator | R.V.I. Oil Filter | Daf Exhaust Manifold | R.V.I. 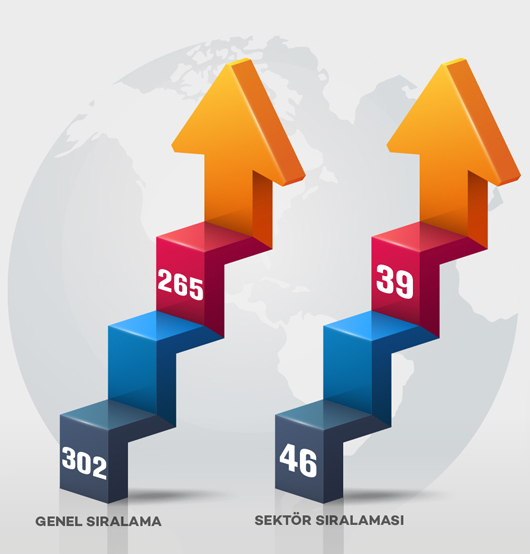 Pressure Sensor | R.V.I. Signal Control Arm | Scania Hose, Intercooler | Mercedes Repair Kit, Brake Cam Shaft | Man Repair Kit, Axle Rod | Chalmers Mounting, Engine | R.V.I. Cover, Battery | Scania Motor, Door Window | R.V.I. 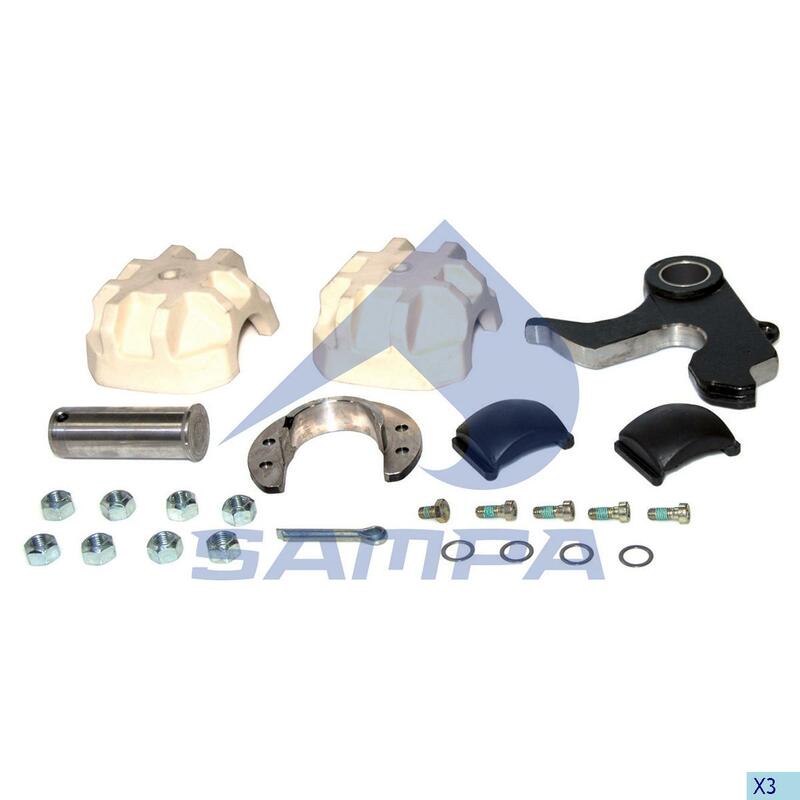 Repair Kit, Fifth Wheel | Georg Fischer Repair Kit, Brake Cam Shaft | Bergische Achsen Brake Dust Cover Kit | Bergische Achsen Ball Joint | Scania Nut, Stud | Ror-Meritor Torque Rod | Iveco Repair Kit, Wheel Hub | Man Dust Cover, Brake Cam Shaft | Sauer Achsen Shock Absorber | Man Hose, Radiator | R.V.I. Bracket, Spring | Scania Repair Kit, Brake Shoe | Daf Ring Kit, Piston | Daf Clamp, Exhaust | R.V.I. Bushing, Spring | Man Air Spring | R.V.I. Solenoid Valve | Volvo Brake Lining Rivets | Universal Silencer, Exhaust | Mercedes Air Spring | Watson&Chalin Hose, Radiator | Mercedes Cylinder Liner, Piston | Mercedes Stud | Ror-Meritor Repair Kit, Axle Rod | Ror-Meritor Rubber Bushing, Stabilizer Bar | R.V.I. Piston, Air Spring | Scania Non Return Valve | Volvo Repair Kit, Brake Caliper | R.V.I. Concrete Pump Piston | Schwing Air Deflector, Cab Corner | Iveco Master Switch, Battery | Universal Repair Kit, Compressor | Man Clutch Release Bearing | Man Housing, Fuel Filter | Volvo Piston, Air Spring | Ror-Meritor Pipe, Exhaust | Volvo Spring, Brake Shoe | Mercedes Mirror Glass | Daf Air Spring | Hendrickson Air Spring | Watson&Chalin Drag Link | Mercedes Air Filter Cartridge | Man Repair Kit, Brake Shoe | Trailor Cover, Step | Man Repair Kit, Spring | Bergische Achsen Bowl, Fuel Filter | Daf Rubber Ring, Fan | Volvo Air Tank | Mercedes Drag Link | Daf Mudguard | Volvo V Arm | R.V.I. Brake Slack Adjuster | R.V.I. Cable, Front Panel Lock | Scania Bolt, Spring | Man Lift, Door Window | Iveco Clamp, Exhaust | Iveco Air Spring | Watson&Chalin Drag Link | Scania Repair Kit, Brake Adjuster | Iveco Dust Cover, Gear Shift | Scania Ring Kit, Piston | Iveco Brake Shoe, Brake Drum | Volvo Spring Pin, Brake Shoe | Scania Hose, Radiator | Man Repair Kit, Cab | Daf Screw, Brake Disc | Mercedes Clutch Disc | Mercedes Gasket, Exhaust Manifold | Daf Air Spring | R.V.I. Cylinder Head | Iveco Brake Dust Cover Kit | Bergische Achsen Ball Joint | Kassbohrer Repair Kit, Brake Caliper | Ror-Meritor Service Brake Chamber | Schmitz Seal Ring, Compressor | R.V.I. Air Spring | Bergische Achsen Housing, Step | Mercedes Roller, Clutch Fork | R.V.I. Air Dryer | Iveco Air Spring | Daf Gasket, Oil Filter | Scania Drag Link | Man Silencer, Exhaust | Volvo Bearing, Wheel Hub | R.V.I. Hose, Compressor | Scania Bushing, Spring | Volvo Repair Kit, Brake Caliper | Brake Caliper Parts Rubber Bushing, Spring | Daf Air Spring | Daf Clutch Release Bearing | Setra Hose, Radiator | Man Ball Joint | Mercedes Rubber Bushing, Spring | Mercedes Hose, Radiator | Mercedes Valve, Seat | R.V.I. Speed Sensor | Volvo Lid, Front Panel | Volvo Coupling | Man King Pin Kit, Axle Steering Knuckle | Volvo Piston | R.V.I. Repair Kit, Brake Cam Shaft | Setra Shock Absorber, Cab | R.V.I. Repair Kit, Brake Caliper | Ror-Meritor Dust Cover, Wheel Hub | Mercedes Flywheel | Iveco Rubber Bushing, Stabilizer Bar | Mercedes Service Brake Chamber | Daf Accelerator Pedal | Volvo Pin, Spring | Man Flexible Pipe, Exhaust | Iveco Air Dryer Cartridge | Scania Sensor, ABS | Man Brake Slack Adjuster | Mercedes Ball Joint | Mercedes Mounting, Intercooler | Scania Clamp | Universal Lever, Brake Caliper | Bergische Achsen Clamp, Exhaust | Volvo Repair Kit, Brake Caliper | Volvo Levelling Valve | Iveco Bearing, Wheel Hub | Man Gas Spring | Man Sensor, Brake Disc Pad | R.V.I. Brake Shoe, Brake Drum | Sauer Achsen Gear Ring, Flywheel | Man Repair Kit, Brake Adjuster | Ror-Meritor Bumper | Man King Pin Kit, Axle Steering Knuckle | Mercedes Temperature Sensor | Mercedes Stop Light | Mercedes Repair Kit, Stabilizer Bar | Mercedes Bushing, Spring | Mercedes Hose, Cab Tilt | Mercedes Water Pump | Man Hose, Radiator | R.V.I. Seal Ring, Wheel Hub | Kassbohrer Stud | Mercedes Air Spring | Scania Gasket, Thermostat | R.V.I. U Bolt, Spring | R.V.I. Mounting, Cab | Scania Hose, Radiator | Volvo Bracket, Spring | Bergische Achsen Silencer, Air Tank | Setra Bearing, Stabilizer Bar | Mercedes Overflow Valve | Iveco Hose, Radiator | Mercedes Air Dryer | Iveco U Bolt, Spring | Scania Repair Kit, Brake Shoe | R.V.I. Visco Fan | Iveco Gasket, Water Pump | R.V.I. Ball Joint | Mercedes Repair Kit, Stabilizer Bar | Hendrickson Bearing, Stabilizer Bar | Mercedes Rondela, Stud | Sauer Achsen Electrical Cable, Trailer Electrical Equipments | Universal Bumper | Man Gasket Kit, Cylinder Head | Scania Ring Kit, Piston | Mercedes Retainer, Brake Cam Shaft | Bergische Achsen Hose, Radiator | Man Mounting, Engine | Daf Gas Spring | Man Bracket, Axle Rod | Man Screw, Axle Rod | Mercedes Brake Dust Cover | R.V.I. Visco Drive, Fan | Scania Hub Cap | Bergische Achsen Compression Spring, Cab | Mercedes Repair Kit, Wheel Hub | Sauer Achsen Brake Slack Adjuster | Mercedes Seal Ring, Wheel Hub | Kassbohrer Air Spring | Scania Air Dryer | R.V.I. Service Brake Chamber | Kögel Repair Kit, Brake Caliper | Sauer Achsen Rubber Bushing, Spring | Freightliner Air Duct, Air Filter | Scania Exhaust Manifold | Man Repair Kit, Brake Caliper | Brake Caliper Parts Ball Joint | Kenworth Repair Kit, Brake Adjuster | Iveco Clutch Release Bearing | R.V.I. Levelling Valve | R.V.I. Repair Kit, Axle Rod | Mercedes Water Pump | Daf Repair Kit, Brake Adjuster | Iveco Drag Link | Man Air Spring | Sauer Achsen U Bolt, Spring | Bergische Achsen Repair Kit, Cab | Daf Washer, Injection Pump | Daf Cover, Mirror | Iveco Fuel Filter | Man Gasket, Oil Filter | Volvo Clutch Release Bearing | Scania Compressor | Man Air Spring | R.V.I. U Bolt, Spring | R.V.I. Plate, Step | Daf Rubber Bushing, Spring | International Navistar Mudguard | Mercedes Repair Kit, Axle Rod | Man Cable, Parking Brake | Mercedes Gas Spring | Daf Repair Kit, Cab Tilt | Scania Bushing, Spring | Mercedes Accelerator Wire | R.V.I. Nut, Stud | Scania Clamp, Exhaust | Volvo Drag Link | Mercedes Dust Cover, Brake Adjuster | Volvo Solenoid Valve | Daf Lock, Door | Scania Thrust Washer, Bogie Suspension | Scania Gasket, Oil Sump | Volvo Clutch Disc | Volvo Bushing, Brake Shoe | Daf Thrust Ring, Distribution Shaft | Man Hose, Radiator | Scania Brake Slack Adjuster | R.V.I. Relay Valve | Setra Repair Kit, Brake Caliper | Brake Caliper Parts Foot Brake Valve | Daf Cylinder Head | Volvo Nut, Crown Wheel & Pinion | Mercedes Shock Absorber | Volvo Sensor, ABS | Man Fuel Filter | Mercedes Spring Brake Chamber | R.V.I. Piston, Air Spring | Sauer Achsen Bracket, Cab Corner | Volvo Buffer, Spring | Volvo Pressure Sensor | Volvo Repair Kit, Spring | Volvo Diaphragm, Brake Chamber | Sauer Achsen Drag Link | Daf Flywheel | Daf Air Spring | Hendrickson Air Spring | Man Ball Joint | Mercedes Main Cylinder | Mercedes Repair Kit, Brake Shoe | R.V.I. Rubber Bushing, Axle Rod | Ror-Meritor Seal Ring, Bogie Suspension | Daf Piston | Iveco Shock Absorber, Cab | Scania Ball Joint | Daf Rubber Bushing, Shock Absorber | Iveco Repair Kit, Compressor | R.V.I. Spring Pin, Brake Shoe | Mercedes Bearing Cap, Stabilizer Bar | Mercedes Repair Kit, Compressor | Mercedes Repair Kit, Gear Shifting | Volvo Buffer, Cab | Volvo Repair Kit, Axle Rod | Scania Clamp | Universal Mirror | R.V.I. Air Spring | International Navistar Repair Kit, Brake Caliper | R.V.I. Repair Kit, Axle | Ror-Meritor Piston | Daf Pressure Control Valve | Scania Hose, Radiator | Iveco Repair Kit, Brake Caliper | Bergische Achsen Hose, Gear Box | Scania Rubber Bushing, Cab | Mercedes Sensor, Flywheel | Man Rubber Bushing, Spring | Volvo Shut-Off Valve | Daf Bearing, Wheel Hub | Daf Diaphragm, Brake Chamber | Volvo Drag Link | Volvo Thrust Washer, Bogie Suspension | Iveco Air Spring | Volvo Seal Ring, Input Shaft | Mercedes Drag Link | Man Frame, Head Lamp | Mercedes Silencer, Air Tank | Scania Sleeve Insert for Nylon Pipe | Man Plug, Cab Tilt | Scania Grille, Front Panel | Scania Bracket, Mudguard | Volvo Drag Link | R.V.I. Screw, Wheel Hub | Mercedes Drag Link | Scania Mounting, Engine | R.V.I. Drag Link | Scania Rubber Bushing, Cab | Volvo Drag Link | Mercedes U Bolt, Spring | Iveco Shock Absorber, with Air Bellow, Cab | Man Repair Kit, Spring | R.V.I. Silencer, Exhaust | Mercedes Main Cylinder | Man Hose, Radiator | Mercedes Ball Joint | Iveco Exhaust Brake | Mercedes Sensor, Oil Pump | Mercedes Hand Pump, Feed Pump | Man Service Brake Chamber | Scania Housing, Water Pump | Scania Hand Pump, Feed Pump | Volvo Mirror | Daf Air Filter Cartridge | Volvo Oil Filter | Scania Repair Kit, Cab | Man Mirror | Volvo Spring Pin, Brake Shoe | Man Ring, ABS | Bergische Achsen Repair Kit, Spring | Bergische Achsen Air Filter Cartridge | Scania Housing, Step | Scania Pipe, Turbocharger | Mercedes Brake Slack Adjuster | R.V.I. Seal Ring, Wheel Hub | Scania Seal Ring, Wheel Hub | Sauer Achsen Brake Slack Adjuster | Daf Trim Strip, Front Panel | Scania Gasket Kit, Compressor | Man Lever, Brake Caliper | Brake Caliper Parts Rubber Bushing, Bogie Suspension | Hendrickson Repair Kit, Brake Adjuster | Iveco Gasket, Intake Manifold | Iveco Belt Tensioner, Fan | Scania Bearing, Stabilizer Bar | R.V.I. Storage Box Cable, Accessory | Man Repair Kit, Air Spring | Bergische Achsen Heating Hoses, Cab Heating & Ventilation | Man Repair Kit, Brake Caliper | Ror-Meritor Air Spring | Volvo Drag Link | Volvo Push in Connector | Universal Nut, Stud | Bergische Achsen Air Filter Cartridge | Daf Bellow, Air Filter | Scania Grille, Front Panel | Mercedes Drag Link | Volvo Lock Washer, Axle | Daf Spring Pin, Brake Shoe | York Trim Strip, Front Panel | Scania Piston | Iveco Air Spring | Sauer Achsen Repair Kit, Brake Caliper | Daf Nylon Pipe, Black | Universal Expansion Tank, Radiator | Man Wishbone | Mercedes Pressure Control Valve | Daf Grille, Front Panel | Mercedes Repair Kit, Brake Caliper | Ror-Meritor Shock Absorber | Mercedes Cylinder, Gear Shifting | Mercedes Repair Kit, Gear Shift | Man ABS Socket | Scania Cover, Battery | Man Ball Joint | Man Seal Ring, Wheel Hub | Volvo Bumper | Mercedes King Pin Kit, Axle Steering Knuckle | International Navistar Propeller Shaft Bearing | Daf Hose, Radiator | Scania Air Spring | Scania Bearing, Stabilizer Bar | Iveco Bracket, Head Lamp | Mercedes Solenoid Valve | Daf Multiway Valve | R.V.I. Sensor, Gear Selector Housing | Daf Repair Kit, Bogie Suspension | R.V.I. Cover, Bogie Suspension | Man Air Spring | Volvo Motor, Door Window | Scania Air Tank | Mercedes Stud | Man Axle Nut | R.V.I. Repair Kit, Brake Caliper | Man Heater, Air Tank | Daf Lock, Door | Scania Propeller Shaft Bearing | Iveco Air Spring | Volvo Bearing, Stabilizer Bar | Mercedes Mirror | Mercedes Rubber Bushing, Spring | Ford Repair Kit, Axle Rod | Scania Seal Ring, Differential Gear Housing | Man Flywheel | Mercedes Bearing, Wheel Hub | Volvo Repair Kit, Brake Caliper | Ror-Meritor Heating Hoses, Cab Heating & Ventilation | Mercedes Multiway Valve | Scania Hose, Radiator | Daf Joint Cross | Universal Repair Kit, Axle Rod | Daf Gasket, Rocker Cover | Scania Cushion, Spring | Volvo Relay Valve | Scania Bearing, Wheel Hub | Volvo Valve, Gear Box Housing | Daf Stud | Ror-Meritor Bearing, Stabilizer Bar | Iveco Handle, Door | R.V.I. Repair Kit, Brake Cam Shaft | Trailor Pipe, Exhaust | Volvo Axle Nut | Iveco Seal Ring, Wheel Hub | Sauer Achsen Repair Kit, Brake Caliper | Mercedes Joint Cross | Volvo Lens, Head Lamp | Man Repair Kit, Brake Cam Shaft | Sauer Achsen Adapter, Accelerator Wire | R.V.I. Repair Kit, Axle Rod | Daf Hose, Cab Tilt | Mercedes Bellow, Air Filter | R.V.I. Repair Kit, Brake Caliper | Volvo Visco Drive, Fan | Man Brake Drum | Sauer Achsen Drag Link | Mercedes Joint, Steering Column | Mercedes Compressor | Man Repair Kit, Brake Caliper | Brake Caliper Parts Repair Kit, Brake Caliper | R.V.I. Joint Cross | Iveco Ring Kit, Piston | Man Air Spring | Volvo Hose, Radiator | Volvo Repair Kit, Brake Shoe | Sauer Achsen Gear Shift | Iveco Cover, Bogie Suspension | Scania Wishbone | Mercedes Drag Link | Volvo Repair Kit, Axle | Ror-Meritor Cover, Bogie Suspension | Scania Relay, Central Electric Unit | Iveco Heating Hoses, Cab Heating & Ventilation | Mercedes Sensor, ABS | Schmitz Cylinder Liner, Piston | Man Tension Roller, Fan | Mercedes Rubber Bushing, Spring | Daf Blade, Windscreen Wiper | R.V.I. Repair Kit, Brake Caliper | Brake Caliper Parts Rubber Bushing, Spring | Watson&Chalin Repair Kit, Wheel Hub | Bergische Achsen Steering Pump | Mercedes Mounting, Spring | International Navistar Rubber Bushing, Cab | Iveco Wear Ring, Bogie Suspension | Scania Compressor | Volvo Sensor, Retarder | Scania Ball Joint | Mercedes Repair Kit, Compressor | R.V.I. Thrust Ring, Wheel Hub | Scania Pin, Spring | Daf Clamp | Universal Oil Pump | Daf Brake Pressure Regulator | Mercedes Hose, Brake Chamber | Mercedes Repair Kit, Axle Rod | Man Bracket, Mudguard | R.V.I. Sensor, ABS | R.V.I.